People who want to see old coal mine workings should go to Morden Colliery Historic Provincial Park. 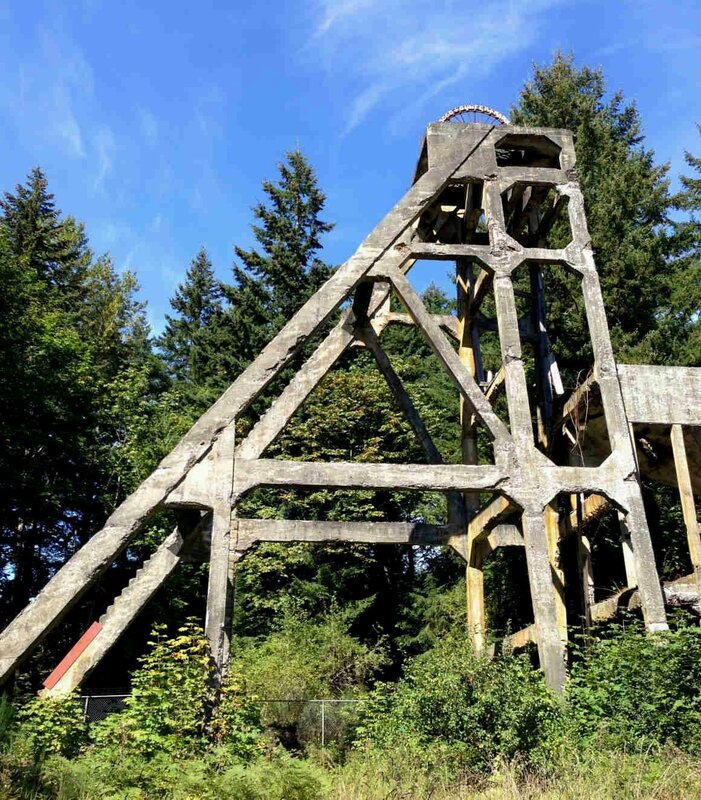 There was a productive coal mine here from 1912, and it houses the only coal tipple remaining on Vancouver Island, safely inside a fenced area. The place became a provincial park in the 1970's - it's about four hectares. The old rail grade is now a trail that runs out to Nanaimo River; it ends there, because the old bridge is long gone; but there are plans to build a new one and make this part of the Trans Canada trail. One reason this is the only remaining tipple, is because it was made of concrete, whereas most tipples were wooden. Did you know that when WWII ended, the tipple and other mine buildings on Protection Island were set on fire as a sort of "fireworks" to be seen from downtown Nanaimo? But this set fire to a pile of coal waste, which burned uncontrollably for a long time (weeks or months).